The groundbreaking attraction will feature elaborate sets, all-encompassing audio and video, as well as high-tech motion simulator technology. 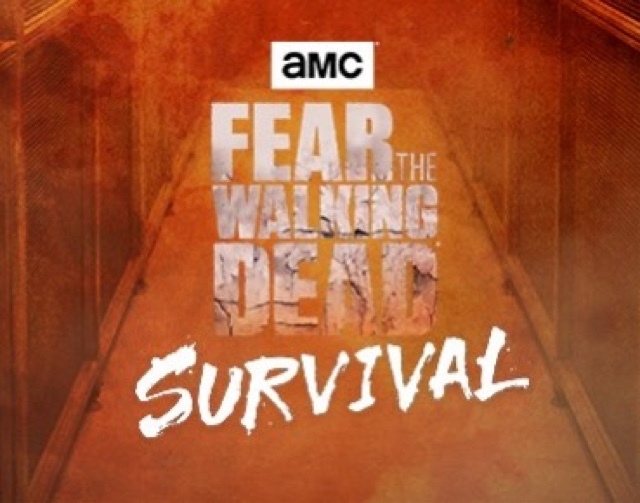 Upon entering into the "Fear the Walking Dead Survival" experience, guests will find themselves in the setting of a temporary military facility set inside a junior college amidst growing rumors of a zombie outbreak. Brave souls will have to explore the inner-workings of the military-controlled facility, which includes multiple zones and various experiences, to face their fears and protect their lives against a bloodthirsty hoard of the infected. Visitors will need to utilize their survival skills and instincts to fight off the never-ending zombies to hopefully escape back into the real world. “Fremont Street Experience is a tourist destination known for its unmatched variety of entertainment, making it the perfect home for this futuristic, immersive, interactive attraction,” said Ernest Yale, President & CEO of TRIOTECH. Fans of the cult-following TV series, "Fear the Walking Dead™," will immediately recognize many of the attraction's features, but even those unfamiliar with the AMC® show," will love the fright-filled, exhilarating attraction – only available at Fremont Street Experience. AMC’s “Fear the Walking Dead” is the second highest rated drama on cable TV and the fourth highest rated on cable overall in 2017. About Fremont Street ExperienceFremont Street Experience, a five-block entertainment district located in historic downtown Las Vegas features Viva Vision, North America’s largest video screen - 1,500 feet long, 90 feet wide and suspended 90 feet above the urban pedestrian mall. Viva Vision features nightly spectacular light and sounds shows with 12.5 million LED lights and a 550,000-watt sound system. Fremont Street Experience is a one-of-a-kind venue that includes free nightly concerts and entertainment on three stages. SlotZilla, the world’s most unique zipline attraction, features the 850-foot Zipline and the 1,750-foot Zoomline as people launch from a 12-story slot-machine themed takeoff platform to fly under the Viva Vision canopy. With direct pedestrian access to 8 casinos, more than 60 restaurants and specialty retail kiosks, Fremont Street Experience attracts more than 17 million annual visitors. Fremont Street Experience can be found online at www.vegasexperience.com. TRIOTECH is the creator of immersive and interactive attractions for the entertainment sector (parks, tourist attractions, family entertainment centers). The company has won three prestigious awards for its new products over the past years. Its products are installed in more than 50 countries spanning all the continents and over 75 million people have experienced them to date. Founded in 1999, TRIOTECH is a privately held company with nearly 200 employees in Canada, the United States and Asia.